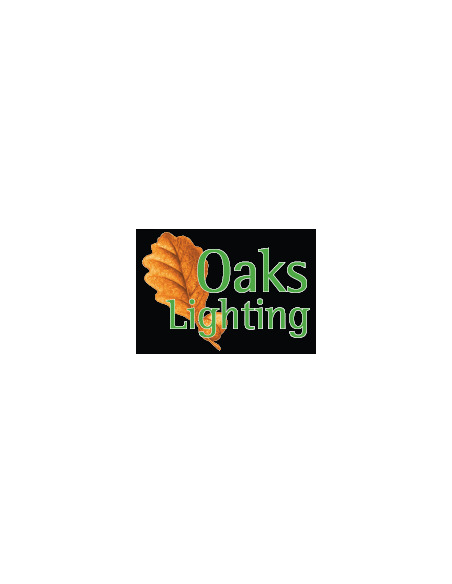 Etta Ceiling Light Chrome - Hegarty Lighting Ltd. 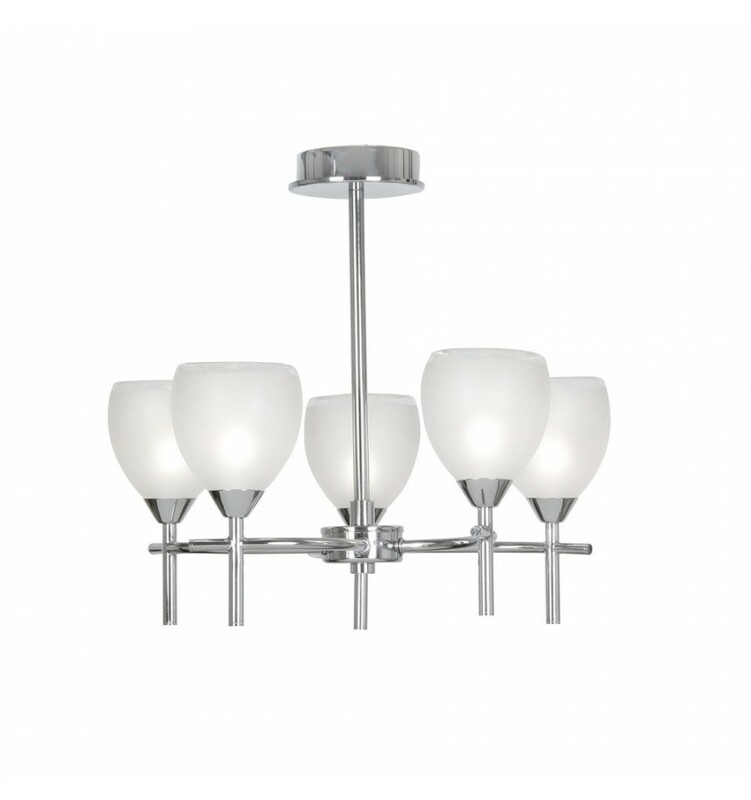 The Etta is a simple polished chrome 5 light ceiling pendant with frosted glass shades. IP44 rated so suitable for a bathroom. 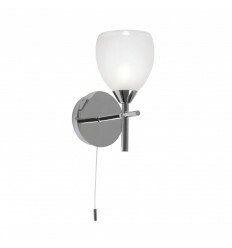 Matching bathroom wall light also available to order on this website. This fitting comes complete with halogen G9 bulbs. 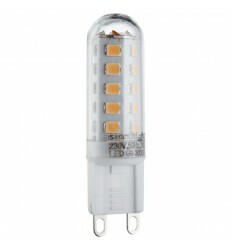 There is a LED version available which gives a similar light output but only burns 3W of electricity. Look underneath at related products.